Advances in hardware are enabling the creation of small, inexpensive devices and sensors. Hundreds or thousands of these devices can be connected using low-power multi-hop wireless networks. 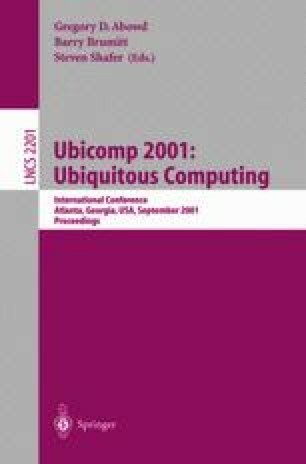 These networks foster a new class of ubiquitous computing applications called proactive computing. In proactive applications, computing occurs in the background without requiring human interaction; humans participate to access information or to modify control policies. This paper provides an overview of the application of a large wireless network of sensors to solve everyday problems in the workplace. It describes the implementation of one application that allows people in the workplace to easily find empty conference rooms (e.g., for impromptu meetings). Drawing on this experience, we identify technical challenges and possible directions for building dense networks of sensors that enable proactive computing. UC Berkeley Mote and TinyOS. http://tinyos.millennium.berkeley.edu.